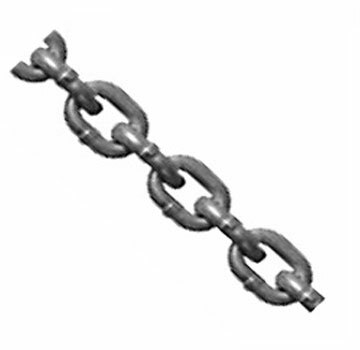 PRODUCT: 1/4 inch Anchor Chain, Zinc Plated Carbon Steel, Proof Coil, 1250 lb. Capacity. 141 Feet in a Pail. Price/Pail. Uses: Designed for use in load binding, towing, logging, anchor rodes and other application requiring high strength.